Today be talk like a me day! So gargle some O' Douls and joins us in our jolly celebrations! On this fine morn we have Cap'n Whitebeard who can be found lazing around Prontera. No doubt looking for some possible loot for later raiding. If ye be brave enough to take up his buried treasure challenge ye may be able to become an honorary member of his crew! Wear the Eyepatch while hunting monsters to collect seal envelopes that can be opened into treasure maps. Goto the location in the map, you must have the map for that location, and defeat the guardians. Once the guardians are dead click on the dirt pile or shadows (depending on server). You will receive cooking/potion supplies plus maybe some gems. Step 5: Close in Alberta, take the zeny and retire to Comodo. Return to Whitebeard and get your hat! Rinse and repeat. I'll be updating the irowiki guide now. Thanks for telling us how the quest actually works. And the lump outside of ice dungeon was reported to be to the left more than then map image shows. Yeah. when I click the dirt piles nothing happens. Consumes maps when wraiths spawn but nothing works after killing them. =\ Maybe it works on Classic server but not Chaos? Also Sapphic found the map is wrong for the ice dungeon location. There are 36 locations. I personally ran through several of them and they were working. Though I think I know why users are having issues. Next week isn't exactly a fix. More of an improvement. how many locations do we need to visit to get the hat? one of them? 5 of them? all of them? Can you at least post a picture of the hat so we know what the reward is? Edited by RoseRed21, 19 September 2013 - 09:32 AM. The wiki link in the second post has been updated with all 36 of the map pieces. There are still a few I am not sure the location of so Yeah... If anyone can figure them out. So we need all 36 map fragments?._. No.. only 1, each fragment leads to its own treasure. Hijacking Cam's thread. At 3pm going to be doing some pirate themed monster spawns and will be giving prizes to players that are showing real pirate spirit! Going to be doing a town defense event at 3pm PDT and will be giving prizes out to those that are showing pirate spirit! Arr ye landlubber, it be happening at 6 glasses past noon. Get it right or ye will be walking the gangplank into the briney depths. Edited by michaeleeli, 19 September 2013 - 11:15 AM. Alberta is ye olde traditional place. Will the Kraken be makin' an appearance, yar? LocationIn a van down by the river. I click on the dirt lump with no response in return. 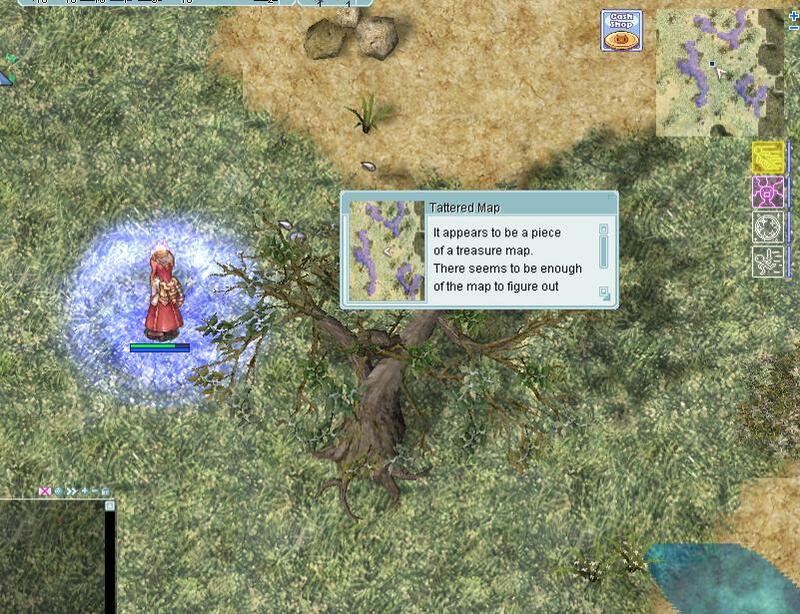 This is from the one map North of Prontera and the map 2 east of Payon. Report to whitebeard and get your hat? He did not give me one. Am I doing something wrong? "Ye come seekin' adventure and salty ol' pirates, eh? Sure ye come to the proper place. But keep a weather eye open, mates, and hold on tight, with both hands if you please."